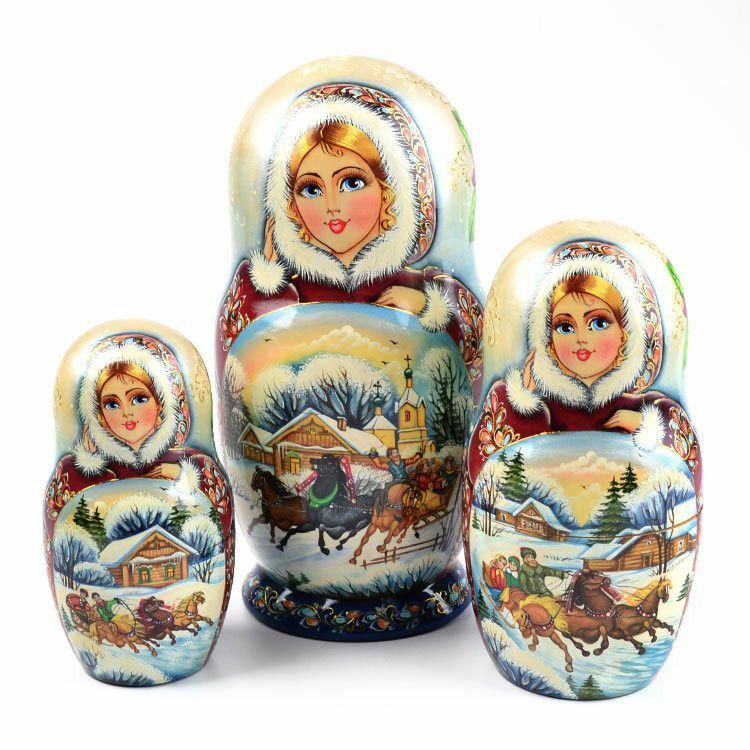 On the front of each of these dolls (10 total in this set) there is a wonderful Winter scene (with the Troika on the 3 biggest dolls), and on the back there is a bouquet of flowers outlined in gold, and a blue shawl that has extratensive folds. 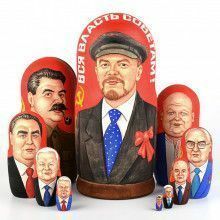 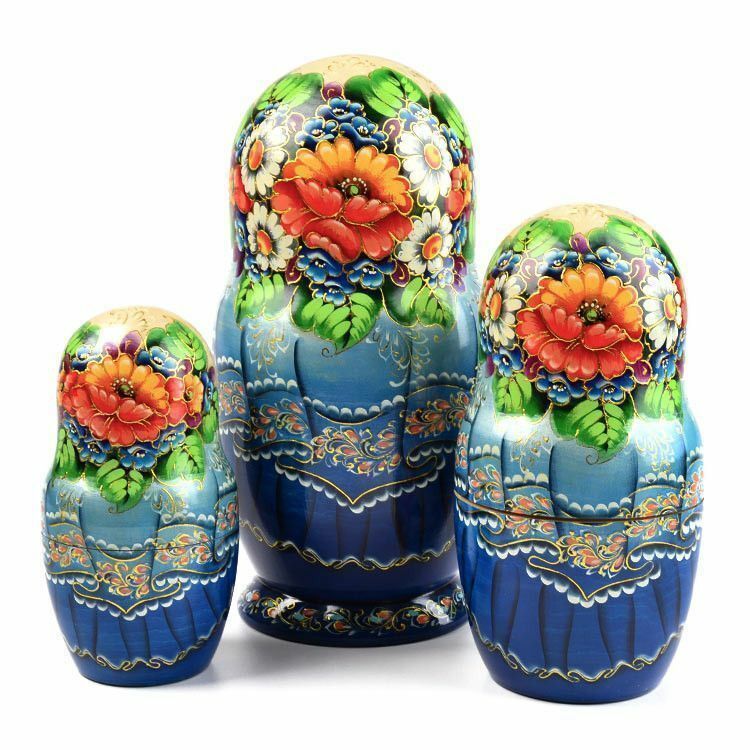 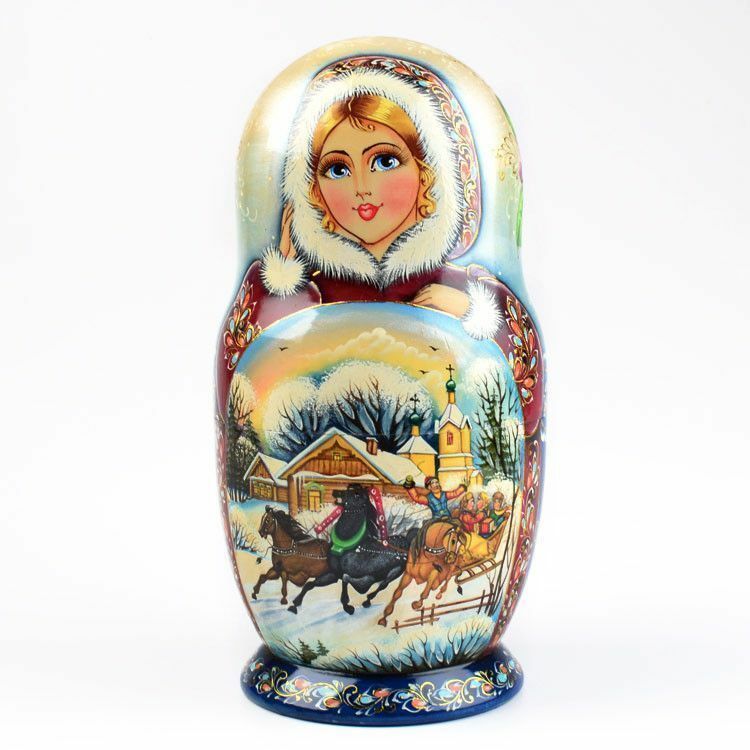 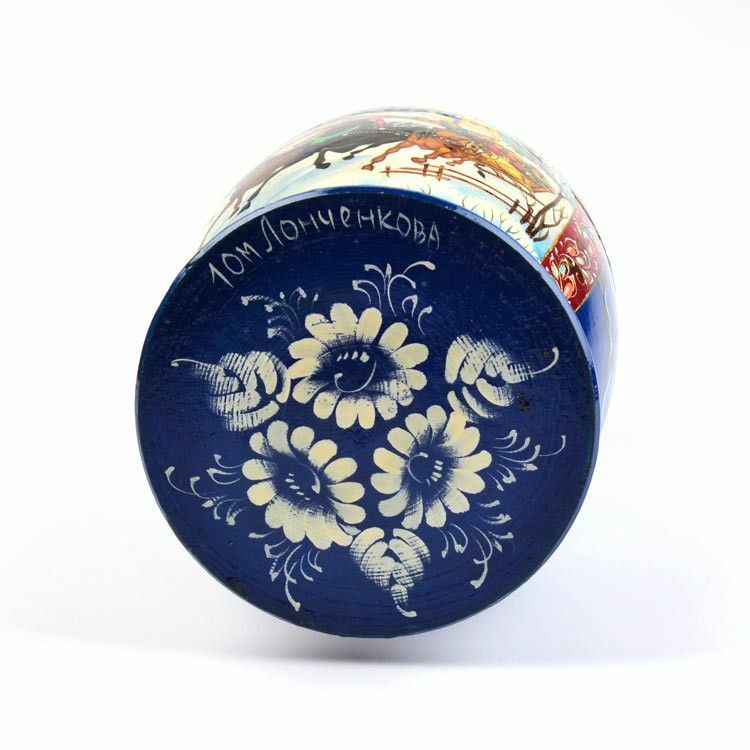 Perfect for any art collector, this nesting doll was patiently painted by a very skilled Russian artist, Lonuchenkova, who has enhanced this doll with some shimmering paint (hard to see through a photograph). 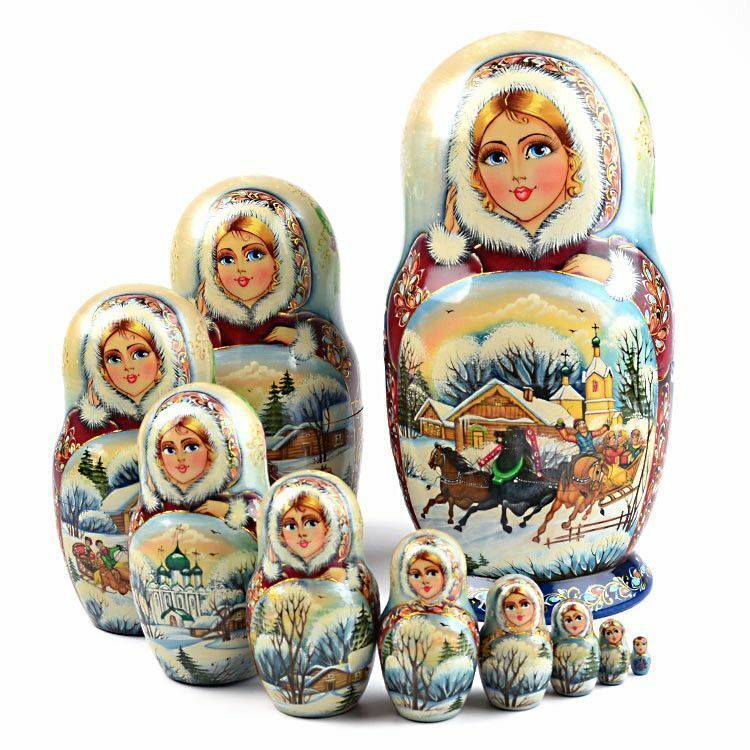 This collectible, one of a kind, doll is about 10" tall and is signed on the bottom.